The restaurant would serve dishes from organic farm products that about 300 farmers produce. Coinciding with the international women’s day on March 8, Bhutan Association of Women Entrepreneurs (BAOWE) opened a restaurant, Nangyi-Aum in Thimphu, to serve as an outlet for farm products of about 300 farmers from across the country. The restaurant, located above Motithang Ozone Park and Bhutan Oil Distributors (BOD), would serve dishes made from local organic produce. 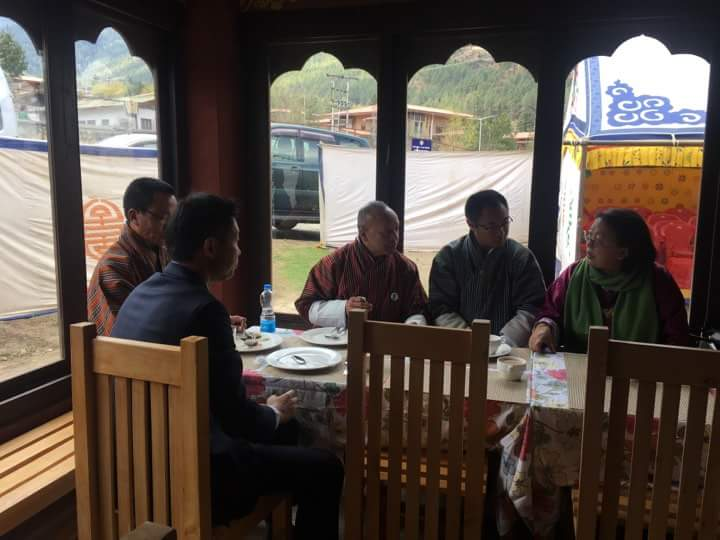 BAOWE’s chief executive officer and founder, Damchae Dem, said that a housewife, Tshering Choden from Zhemgang, would run the restaurant and it would use ingredients available in the country such as rice from Paro, buckwheat from Bumthang, cottage cheese from Haa, and chillies and pepper from Trongsa. Few other women would support Tshering Choden in managing the restaurant. The restaurant would serve a set of seven items at Nu 500. Customers can also order dishes apart from the set menu, which would be charged accordingly.